Please proceed to Gardens by the Bay Group Ticketing Counter to redeem your ticket using your iVenture Card. If guests uses Double Conservatories on a closure date, no refunds or exchanges will be entertained. 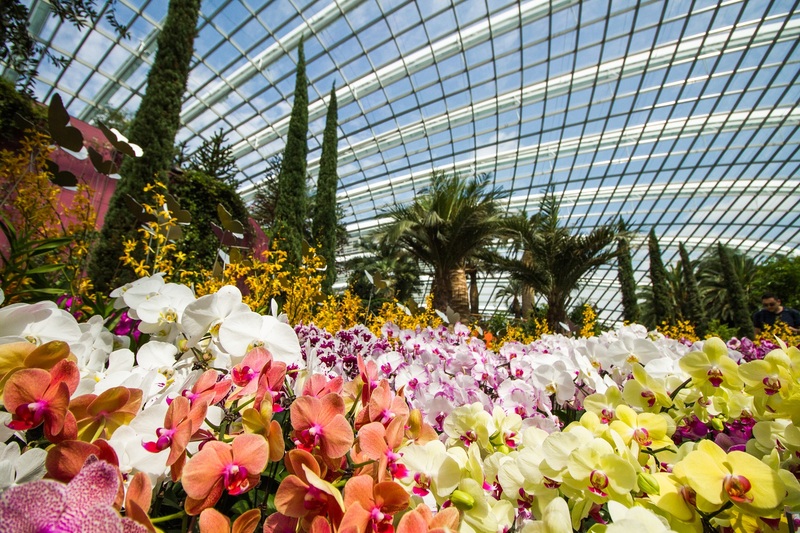 In the event of any dispute, Gardens by the Bay is not liable for any miscommunication and will direct the guests back to the Travel Agent whom they have purchased the tickets from. Last admission 8.00pm. Guests to present iVenture pass at Group Ticketing Counter before 7.00pm. 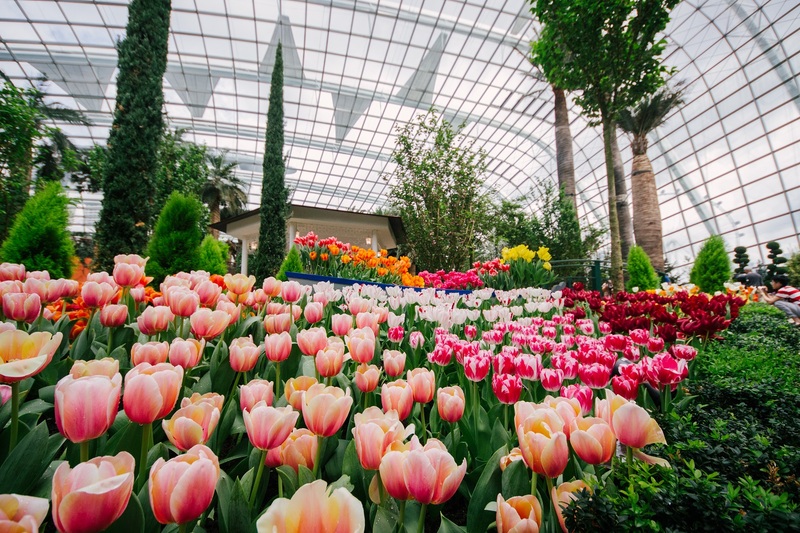 Take a leisurely stroll in the Flower Dome; the world’s largest glass greenhouse replicating the cool-dry climate of Mediterranean regions home to an extensive variety of plant species. 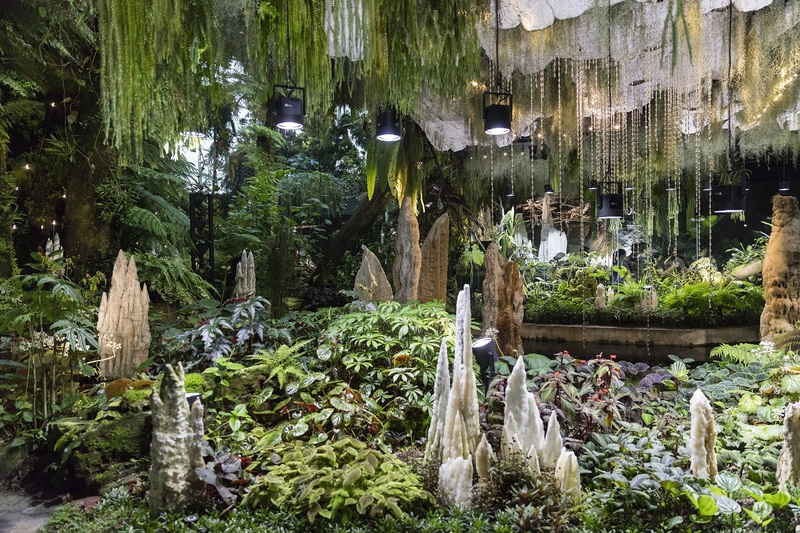 Immersing in a world of perpetual spring, the dome brings you through 9 different gardens across 5 continents displaying exotic plants like the Baobab trees, the Madagascar Ghost Tree and the 1,000 year old Olive Tree. With the brilliant floral displays on the Flower Field refreshing to reflect the different seasons and festivals, the Flower Dome will give all visitors a vibrant and unforgettable experience. Enter the Cloud Forest and be taken away by the breath-taking mountain views surrounded by diverse vegetation and hidden floral gems and home to the world’s tallest indoor waterfall that stands at 35 metres. Explore the mysterious world as you stroll through the surreal mist-filled Cloud Walk and Treetop Walk surrounded by orchids, pitcher plants and ferns from the Tropical Montane region. Be enchanted by the Secret Garden at the foot of the mountain and be surrounded by endangered habitats of limestone forests and cave with species of gesneriads, begonias, orchids and ferns. 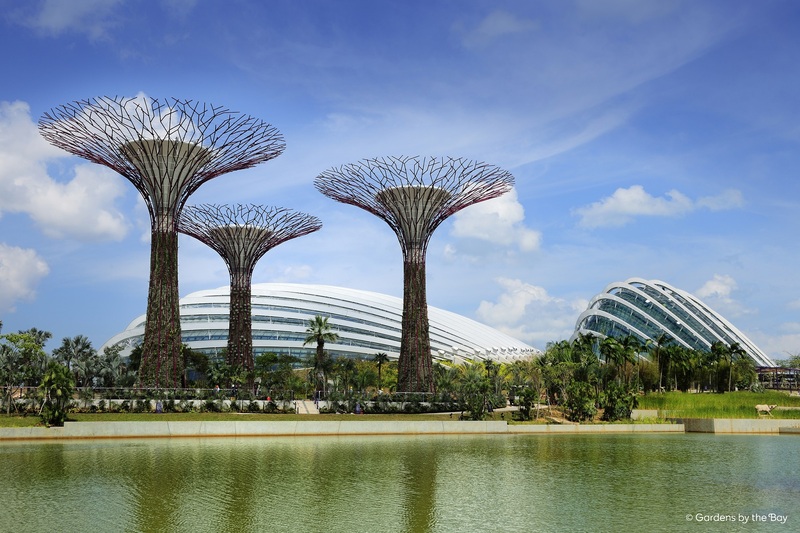 Gardens by the Bay is located next to Marina Reservoir, if you’re walking, then head for the Downtown Core, which is easily signposted. You may wish to wear comfortable shoes as there’s much ground to cover - the grounds of the Gardens by the Bay stretches 249-acre (101 ha). You may consider dressing for the occasion – because the majority of things to do and see are enclosed, so the temperature is set to an average of 23-25 degrees Celsius. More information can be found at the official website.